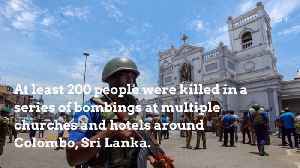 Reuters reports British nationals were among the more than 200 people killed in the Easter Sunday attacks in Sri Lanka. 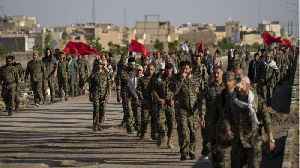 A spokeswoman said British officials were supporting the relatives of the victims and were continuing to work with the relevant.. 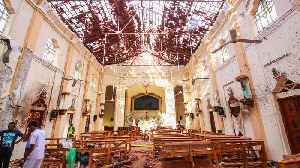 Aftermath footage shows the impact of a blast that ripped through Zion Church in Sri Lanka's Batticaloa, where 28 people have died. 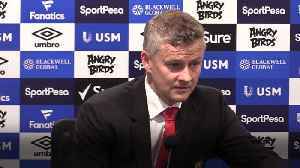 Video shows first responders dousing a destroyed building in water and military on the scene while locals look..
Manchester United manager Ole Gunnar Solskjaer says 4-0 loss to Everton "difficult to describe because it's so bad"
Liverpool boss Jurgen Klopp described the Cardiff City Stadium playing surface as "dangerous" after his team reclaimed top spot in the Premier League. According to Reuters, Iran’s top authority Supreme Leader Ayatollah Ali Khamenei has replaced the head of the influential Revolutionary Guards Corps. 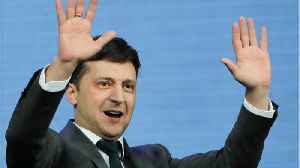 The moves comes days after the United States designated the elite group a foreign terrorist..
(CNN)Political newcomer and television comedian Volodymyr Zelensky was on course Sunday to win Ukraine's presidential elections, beating incumbent and chocolate magnate Petro Poroshenko, exit polls suggested. Projections put Zelensky at 73.2%, giving.. 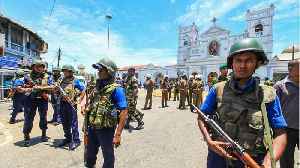 According to Gizmodo, Sri Lanka's government is in the process of blocking access to Facebook, after at least 207 people were killed and over four hundred more wounded by a series of bombs at Easter services in the country. 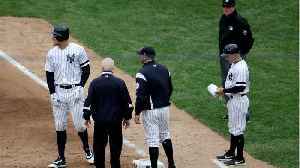 In a statement,..
Reuters reports U.S. Secretary of State Mike Pompeo said on Sunday that “several U.S. citizens were among those killed” in the horrific bombings on Easter in Sri Lanka. 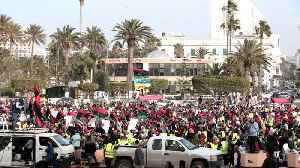 The series of bomb blasts that occurred in the morning on Sunday killed more.. 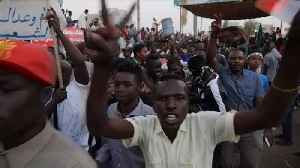 According to Reuters, Saudi Arabia and the United Arab Emirates on Sunday said that they had agreed to send Sudan $3 billion worth of aid. 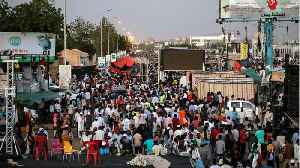 The two Gulf Arab countries will deposit $500 million with the Sudanese central bank and send the rest in the..
Sri Lanka faces a tragedy this Easter Sunday with eight bombs killing at least 207 people. According to Business Insider, churches and luxury hotels were targeted in the attack. 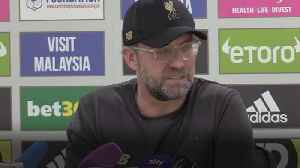 The press reported that seven people have been arrested in connection to.. The identities of the clients Michael Avenatti has been accused of stealing from have been revealed. 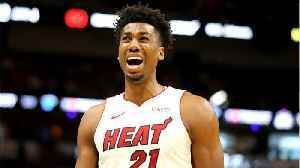 Deadspin reports the federal indictment against the lawyer accused him of stealing millions of dollars from his clients, one of whom was Hassan..
Might be best to stop them altogether. 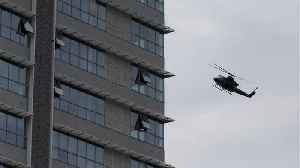 The U.S. State Department confirmed Sunday that several U.S. citizens were among those who died in the attacks in Sri Lanka. 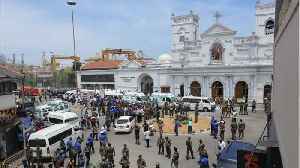 &quot;Several&quot; Americans have been killed in the series of bomb blasts that hit luxury hotels and churches across Sri Lanka on Easter Sunday, according to the US State Department. 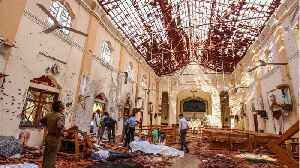 "Several" Americans have been killed in the series of bomb blasts that hit luxury hotels and churches across Sri Lanka on Easter Sunday, according to the US State Department. President Donald Trump’s attorney Rudy Giuliani may have a controversial idea about Russia. Giuliani said there’s “nothing wrong” with Trump’s campaign accepting information from Russian sources. 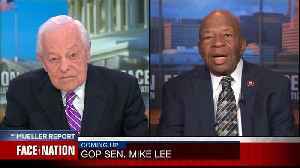 According to Business Insider, the attorney..
On CBS&apos;s &quot;Face the Nation&quot;, Democratic House Oversight Committee Chairman Elijah Cummings said that he could foresee&apos; possible impeachment proceedings against Trump &quot;but I&apos;m not there.. 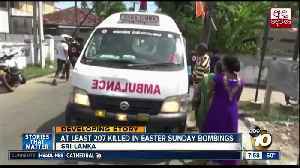 Hundreds were killed Sunday in an Easter morning attack in Sri Lanka. 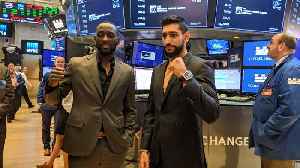 Amy Johnson reports. Photographer Paul Audia spent about a year travelling across the United States and to ten different countries in Europe. His book focuses on elder wisdom from around the globe, including topics of death, love, and life. 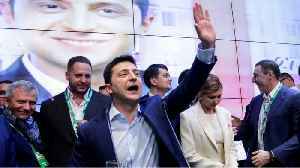 According to CNN, television comedian and political newbie Volodymyr Zelensky was on track to cause a political upset, with recent polls suggesting an overwhelming lead over incumbent Petro Poroshenko. 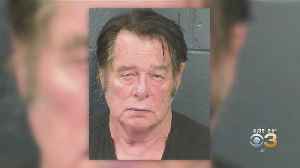 Despite his bid being initially dismissed as a.. 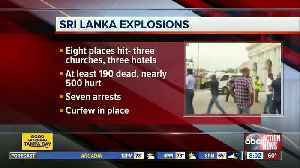 According to Reuters, over 200 people were killed and at least 450 injured in bomb blasts that ripped through churches and luxury hotels in Sri Lanka on Easter Sunday. 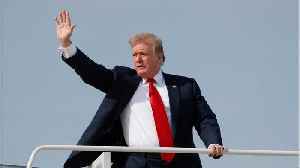 Seven people were arrested and three police officers were killed during a security..
Could Democrats Try To Impeach Trump? 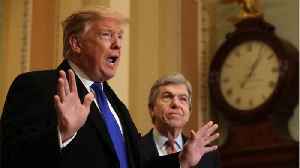 WASHINGTON (Reuters) - Top congressional Democrats left the door open on Sunday to the impeachment of U.S. President Donald Trump, but said they would first need to complete their own investigations into whether he obstructed justice in Special.. 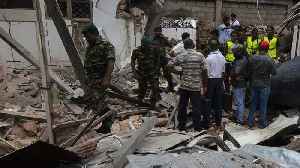 The Sri Lankan government has reportedly blocked access to various social media sites after a wave of bombings left over 200 dead across the country. 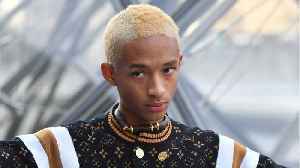 Although there is no known direct connection between Sunday's attacks and social media at this time,.. 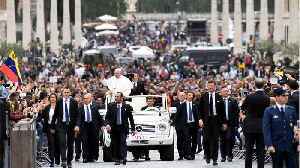 According to Reuters, Pope Francis on Sunday condemned attacks that killed at least 138 people in three churches and four hotels in Sri Lanka, as “such cruel violence." 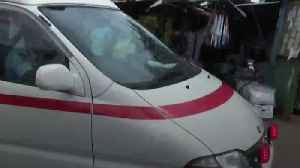 The blasts, which hospital and police officials said wounded more than 400.. The apparent landslide victory of Volodymyr Zelenskiy, 41, is a bitter blow for incumbent Petro Poroshenko who tried to rally Ukrainians around the flag by casting himself as a bulwark against Russian aggression and a champion of Ukrainian identity. 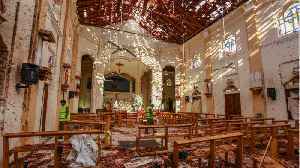 At least seven Britons are among more than 200 people killed in a series of bombings which ripped through churches and luxury hotels in Sri Lanka. According to Reuters,U.S. 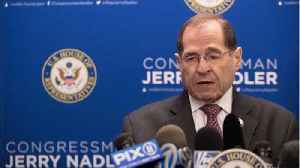 House Judiciary Committee Chairman Jerrold Nadler said on Sunday that if the evidence shows that President Donald Trump obstructed justice in Robert Mueller’s Russia investigation, then it could be an “impeachable”..
Are Prince Harry & Meghan Moving To Africa? Cape Town - Are Prince Harry and Meghan planning to move once the royal baby arrives? 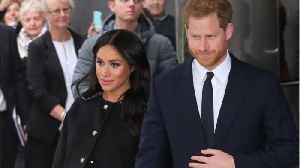 According to reputable UK newspaper, The Sunday Times, Harry's advisers are planing a "bespoke" role for the royal couple that could relocate them to an.. According to Reuters, Ukrainians voted on Sunday in an election expected to thrust a comedian with no prior political experience into the presidency of a nation at war and hungry for change. 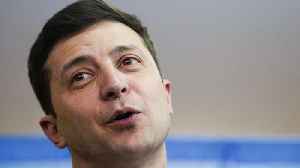 Surveys make Volodymyr Zelenskiy, who plays a fictitious..